I was able to be in the room for the Youth Media Awards announcements for the first time a few days ago. Librarians started gathering around the venue at 6:45 a.m., and by 8:00 a.m., when the announcements began, the energy in the room was positively buzzing. Then, when the winners were announced? Pure excitement and joy. I have to say that I am thrilled by the books that the 2013 committees recognized. Tons of outstanding non-fiction made the list, and the fact that there are so many honor books in many categories accurately reflect what I think was a year filled to the brim with wonderful books for youth. 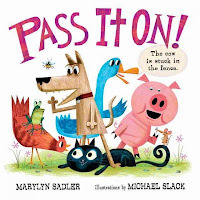 I am excited to be able to say that I have shared many of the Caldecott and Geisel winners and honorees with my outreach groups--and to their great enjoyment. The winners most definitely reflect what books children love. 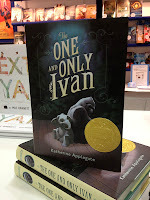 The two biggest awards--the Newbery and the Caldecott, as I'm sure you know--went to two books that are, in my opinion, distinguished in every way: The One and Only Ivan by Katherine Applegate, and This Is Not My Hat by Jon Klassen. 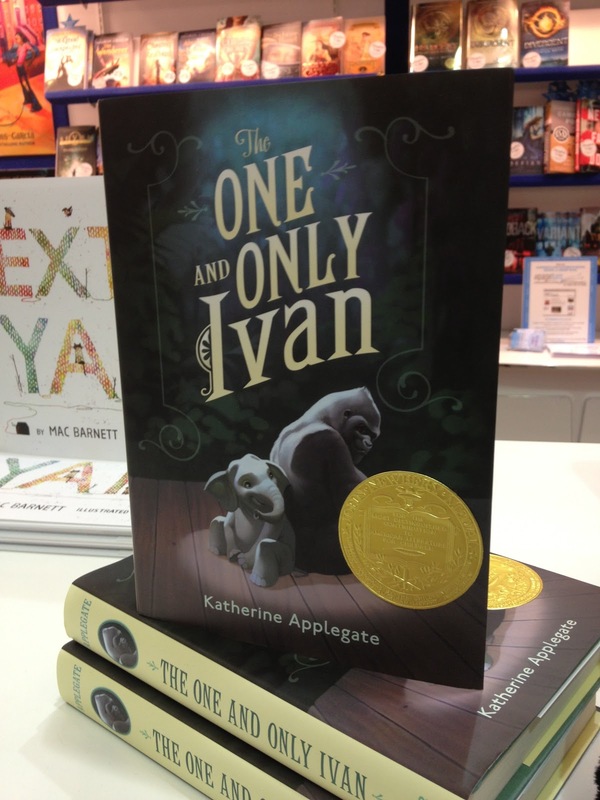 My, do those books look wonderful with those shiny stickers on their covers! I am happy to have left Seattle knowing that these are now books that young readers will have access to for years and years to come. I, for one, will do everything in my power as a librarian to keep sharing the best books--both this year's YMA winner and others--with children. **Thank you to all the ALA members who devoted so much of themselves to serving on the 2013 youth media awards committees. I encourage you to give yourselves a pat on the back for all your hard work--and don't forget to indulge in all the things you gave up last year so you could keep reading! 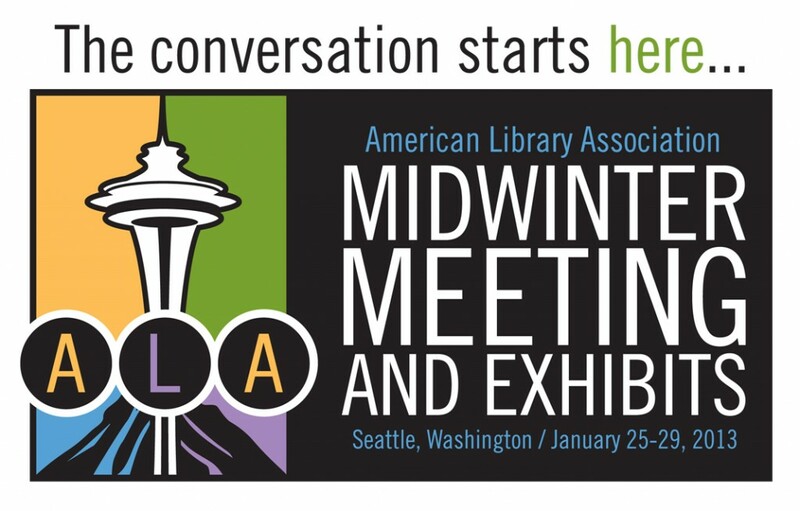 I will be spending the next few days in Seattle at the ALA Midwinter Meeting. 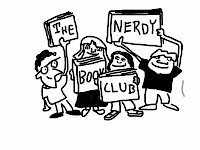 I am excited to meet my fellow 2014 Newbery Committee members, to attend meetings and talk shop with colleagues, and to attend the Youth Media Awards in person (you can attend via live webcast on Monday morning!). I will also be live-blogging my time in Seattle over on the ALSC Blog. 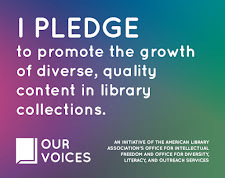 That's where my fellow ALSC colleagues and I will be sharing details of the public meetings we attend, the authors we get to see, and the conversations we have that spark ideas to bring home to our libraries. Make a plan to bookmark the ALSC Blog if you haven't already so that you can follow along with the conversations going on in Seattle. 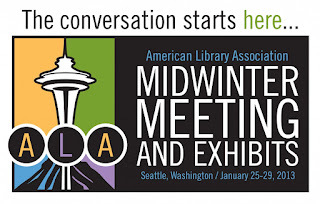 You can also follow the Midwinter hashtag (#alamw13) on Twitter for real-time updates, including the announcements of this year's Newbery, Caldecott, Printz, and other award-winning titles. I'll be back on this blog after the conference. Until then, happy reading! The most popular program planning style (in orange), which is standard for over half of us, is to plan a general theme in advance of the program and fill in the details in the last few days before it happens. This method is primarily how I program, as I mentioned in my initial post. I personally like that there are so many fantastic ideas out there in libraryland that my colleagues are willing to share, and when I find something I like, I make note of it (and of my source! ); I feel very comfortable filling in the fine print of the program--or the less fine print, if I'm unprogramming--closer to the actual event. I find this strategy especially useful since sometimes my expected program attendance can vary wildly. No use planning a huge program for what looks, in the few days leading up to the program, to be a group of five. It seems many of you agree, albeit I'm sure your reasons may differ from mine. Share details of your reasoning in the comments! The next most popular program planning styles are having a loose plan and going with the audience's mood (in green) and meticulously planning a program at least a week in advance (in red). I'm curious to know what sorts of programs these respondents are offering. Loose planners, what do your programs look like, and what do your attendees think of them? Meticulous planners, what are your motivations for planning ahead? Preparedness, staff or budget control, centralized planning? I'd love to know if you're inclined to share in the comments. Only two of you said that you totally wing it when it comes to programming (in blue), and three of you clarified your programming planning style with other responses (in purple). One of those "Others" plans every detail over a month ahead of time, and the other two admit to using different planning styles for different types of programs. Which brings up a good point--are some programs "quicker" to plan than others? Relative ease could stem from substantial experience offering a type of program--story times, for instance--or from a number of other factors. Have you found that you can put together certain types of programs more quickly, efficiently, and effectively than others which require more brainpower? How do your program offerings break down along these lines? I know that I personally need to do at least a bit of deliberate planning for each of my programs, although my STEAM programs do take a bit more concentration and intention than my story times. How does it work out for you? And, last but not least, what does this all mean? I find it encouraging that the vast majority of you have some sort of plan in place when you walk into a program room full of kids. That fact gives some validation to my own methods--in particular sharing program ideas with colleagues. I primarily use blogs, conferences, Twitter conversations, and other collaborative/interactive spaces to get ideas, and that's what I try to do here, too. Knowing that you all, to varying extents, use plans in your programming, too, makes me even more inclined to share as much of my programming on this blog (and the ALSC blog) as I can. The last thing I want to say is that I am thrilled to see so many youth services librarians putting any level of thought and deliberation into programming, and I cannot wait for opportunities to talk programs with all of you. If you're in Seattle for ALA Midwinter this weekend, let's chat. Premise: A brief tutorial introduces new users to the array of simple machines and tools (springs, conveyor belts, scissors, buttons, and blocks, to name a few) that are used throughout the app's two modes of play: Puzzle and Invent. In Puzzle mode, players are given a task to complete--for example, to get a ball in a bucket. Each level begins with a number of tools and machines in place; it is up to the player to determine how to use the additional pieces in the supplies bar in order to complete each level's task. There is some flexibility as to how each level can be solved, which keeps some of the more difficult levels from getting too frustrating. Players are able to test their creations as many times as they need to in order to tinker with their set-ups and solve a level. In Invent mode, players have access to all of the game's machines and tools and are free to create any sort of contraption. Inventors can save their creations, and there is also an e-mail option for when the device is connected to the internet. The TinkerBox app is well laid-out with clear HD graphics, which helps players to streamline their puzzle-solving process. All machines and tools are easily manipulable, perfect for users who are not yet completely comfortable with a touchscreen interface. The app also includes two levels of sound that can be switched off: background music and SFX (which gives sound to the machines and tools in action). This app does a great job of introducing the physics of a number of simple machines and tools in a fun, non-competitive context. I can easily see engineering-minded children getting really into the gameplay. See my first app review post for links to additional app review sources. And please chime in in the comments with your favorite apps and review sources! 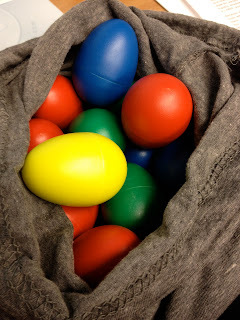 Break out those egg shakers! At the 2012 ALSC Institute in Indianapolis, I attended a program called "Shake, Shimmy, and Dance: Using Music with Preschoolers" led by Kate Schiavi of the Louisville Free Public Library (here's what my fellow program attendees and I thought right after the session). I was instantly enamored of the information Schiavi shared with us, and I knew that I would have to get a preschool dance party on my program calendar. We warmed up to this song, doing lots of stretches and simple movements in time to the music to get ready for the rest of the program. All shyness had dissipated by its end. We did the motions in the song, which include swimming front stroke, backstroke, and butterfly. We also laid down on the floor when the lyrics talked about floating in the water. I passed out rhythm sticks for this tune. We tapped the sticks above our heads, behind our backs, and using the floor as drums. What kid wouldn't want to march-stomp around the room pretending to be a dinosaur? The song ends with a fabulous RRRRROOOOAAAAAAARRRRR! I passed out egg shakers for this tune, which includes a good balance of motion lyrics (putting shakers in and out) and free shaking time. Before kids settled onto the story time rug for our story, I handed out small cups of pretzels and glasses of water. After jumping around for almost 15 minutes straight, they were ready for a bit of rest, hydration, and energy boost. This book is the perfect length for a story interlude, and its rhythmic language and dance theme made it an easy choice to include in this program. This song boasts a mere three different lines of lyrics: 1) Clap your hands! 2) Stomp your feet! 3) Jump in the air! Children happily oblige. I brought out our 12-handled parachute for this one. With an older crowd, you could get the children to do specific actions with the lyrics. My younger group was so excited by the parachute, though, that we just made waves. I asked the grownups in the room to take the handles of the parachute for this one, giving the kiddos a chance to dance underneath the parachute. We finished the song--and the program--by letting the parachute fall over everyones' heads like a tent. Happy squealing ensued. What are your favorite songs to share with preschoolers? While I like the process of sharing award-nominated picture books with my outreach classrooms in the fall months, I must admit I enjoy the total freedom to go theme-free and do what I want come January. That's precisely what I've been doing this month: using books that screamed "kids will love me!" when I read them, then rounding out the program with a bit of silly. I knew this would be a book to share as soon as I read it. Andrew is a "doodle boy"; he loves to draw. The simple story is told with few words and intriguing illustrations, which are moved along with the help of flaps on the pages. 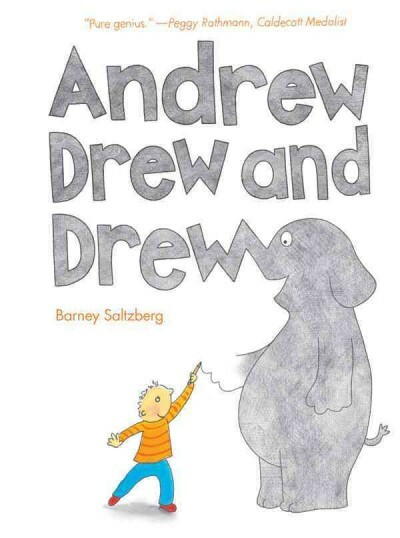 I love talking about the illustrations with children; it is so much fun to watch them observe how Andrew's single line can transform into something magnificent. This silly story takes place over the course of an inadvertent game of telephone: a bee seeks to get help for a cow stuck in a fence, but his message gets twisted into all sorts of humorous statements along the way. By the time animals make their way back to said cow stuck in said fence, they are all expecting different things: a tent, a woodchuck, a penny, milk and honey. Kids love the goofiness of the message getting lost in translation. 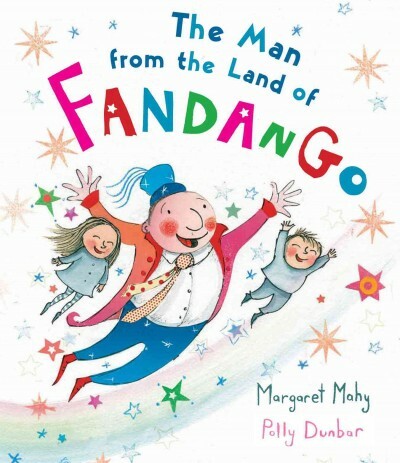 This beautifully-illustrated book has a chant-like rhythm to it that makes it a joy to share. A number of lesser-known animals get stuck in a tiger's hole--a loris, a sunbear--and just when the tiger is about to eat his catch... BA-BOOM! Rescue. This story has a remarkable ability to calm down a rowdy group, and my kiddos loved trying to spot evidence of the tiger on each spread. I used my alligator puppet; kids used alligator hands. Don't go swimming when you hear this sound: CHOMP! See you later, alligator! I'll stay on the ground. 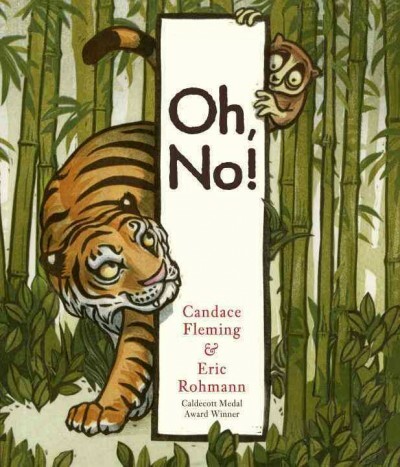 I originally shared this terrific read-aloud in November, but as my outreach kids overwhelmingly voted it their favorite award nominee during the fall, I brought it back for a victory lap. Reader, there was cheering from the children when I pulled it out of my story time bag. Cheering. What have been your favorite read-alouds lately? 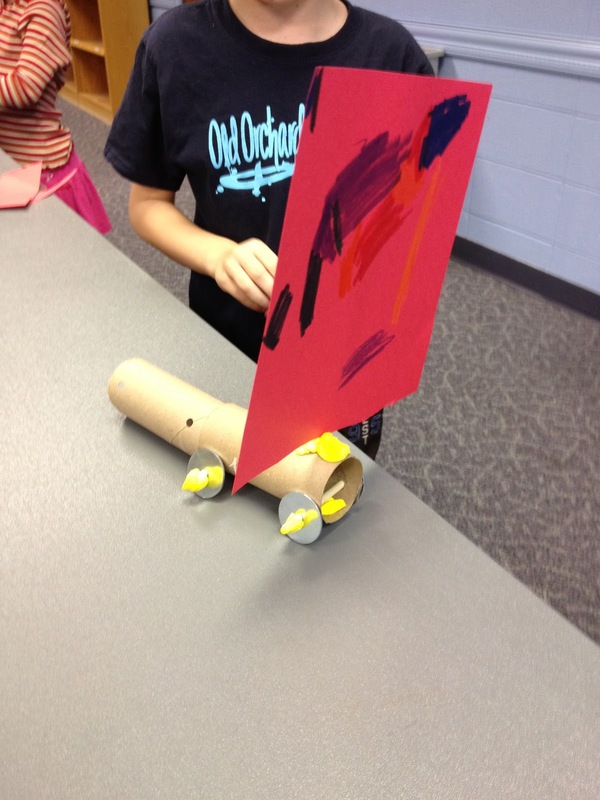 I am over on the ALSC Blog today talking about a recent school-age science program I offered at my library: Speed Racer Science. Head over there posthaste to get all of the details on how I structured the program. 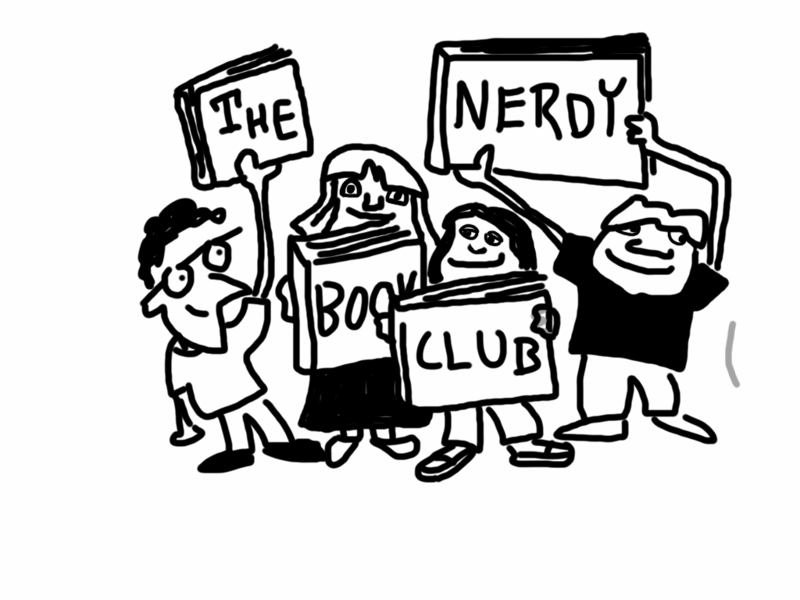 I am very excited to share that I wrote today's post on The Nerdy Book Club blog. 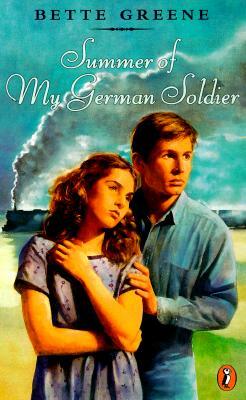 My post is a retro review of one of my favorite middle grade books ever, Summer of My German Soldier by Bette Greene. Fun fact: when I was a camp counselor for girls ages 12-14, I kept a small shelf of books in the cabin for my campers to read during rest hour and pre-lights out quiet time. Summer of My German Soldier was always the top pick. Please head over to The Nerdy Book Club--a great resource for teachers, librarians, and readers alike--to read what I have to say about Summer of My German Soldier and the value of historical fiction in young readers' lives. What are your favorite historical fiction novels? I was one of the many librarians to forward an article including a library program on pig-butchering to my coworkers. I also linked my branchmates to a follow-up article from The Atlantic Wire that further explores the untraditional realms of programming to which libraries are now offering access. I love that articles like these help us to think about what it means to program in a contemporary library. What do our communities want and/or need from a third space like a library? The particular answers may seem crazy at first, but so do a lot of really cool things. That was programming. But what about what Marge Loch-Wouters of Tiny Tips for Library Fun has dubbed "unprogramming"? I love the sort of questions that the idea of unprogramming your programs makes you ask. For example: Is what the attendees get out of the program worth the amount of time I put into planning the program? How do our programs tie back to the library's mission, values, and/or resources? Is it time to retire/revamp old or traditional programs that have become tired? Basically, is what we offer worth it for our customers? I'm thinking of coming up with a list of such questions to ask myself and my staff before we commit to future schedules of programs--we want to make sure that we're intentionally offering what's best for the community and what makes sense in terms of resource use. Cen Campbell at Little eLit has been blogging this year about what librarians should consider when they review apps. She gives a thorough reasoning behind the importance of a variety of criteria: age appropriateness; in-app controls; interactivity; affordances; early literacy support; annoyance factors and customization; and intended use. I am finding these posts incredibly thought-provoking as I tweak my own plan for how to incorporate apps into my library space. Cen also shares great examples of the criteria she discusses, and I'm happy to have a list of apps to try after reading her posts. Those are three big topics that seem to be on my mind lately as well as on the minds of my colleagues. As programs kick back into high gear now, I will make a concerted effort to still give these topics as much consideration as I can in order to determine how they can inform what we do at my library. What library topics have you been ruminating on lately? I have a rough idea of how many types of "special" programs (i.e., not recurring, age-specific story times) I want our department to offer every month. As I find ideas in the books I read, professional journals, and (primarily) online, I fill in the program spaces in my grid. As you can see, in some areas I am much better planned than others. I don't have my January outreach story time figured out yet, for example, despite the fact that it is most definitely already January. But I do have science program topics planned out for many months to come. For school-age programs (that are not science programs): I tend to find inspiration for these programs in the form of complete ideas; that is, I find the theme, activities, and related books all at once. Thus, when I have a school-age program idea, I plug it into my program grid and create a Google Doc with the full program itinerary. Said itinerary can be structured (e.g., booktalk, craft, activity, craft, closing activity), but just as often the itinerary lists a few loose ideas of things we can do depending on audience mood. Regardless of whether I program or unprogram these events, I spend about 45 minutes planning for an average 45 minute program. For science programs: I spend downtime on the reference desk browsing science activities online, and when I find at least three on any given STEM topic, I consider that topic program-worthy. I plug the topic into my program grid, create a Google Doc with the program topic as the title, and wait until about two weeks before the program to solidify my program itinerary and create program materials. For these programs, I spend about 90 minutes for an average 45 minute program. For story times: With the exception of in the fall, when I incorporate state award-nominated picture books into my story times, I tend to keep a free planning style for story times. 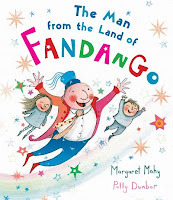 I like to look through new picture books as they are delivered to the branch, and I often find myself pulling these titles to share at upcoming story times. I'll frequently fill out these program reading lists with books from favorite authors, folktales, and classic picture books. I note relevant early literacy connection as I read through the books, and that's enough for me to be prepared to share tips in the program. Oh yes, and the craft. More and more often, I turn to so-called "blank page crafts" for my story times with a craft component. 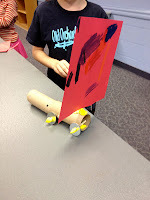 The freedom and creativity allowed by such crafts with loose parameters are developmentally beneficial to children, and I love the interactions I have with them when they tell me about their creations. That works for me. I usually spend between 15 and 30 minutes planning for 30-45 minute story times. So that's what I do when it comes to program planning. Even within my variety of programs, there are a range of program planning styles that I use. 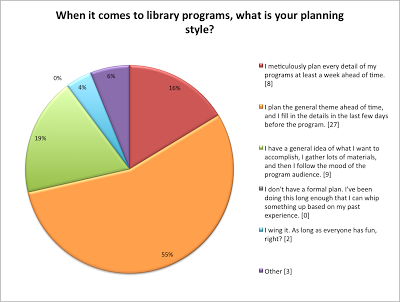 In my opinion, there is no one right way to plan programs--so long as the resulting programs are engaging, quality, and supporting some aspect of the library's mission, like literacy, education, lifelong learning, etc. (I will say, however, that when you spend 3, 4, 5 times as much time planning as you do providing a program, it's time to start evaluating program content priorities--more on that in a future post). What about you? How to do plan for your library programs? Take a moment and answer that question below; I'll share results in an upcoming blog post. Premise: The app provides users access to hundreds of hi-resolution images and videos running the gamut of STEM topics. The NSF curates all of the content, which it gets from scientists, academic institutions, and science centers. All content is accompanied by a date, brief description, and citation, and I would have no qualms about using the content in reference requests for science reports. The app provides users lists of related videos based on what the user is watching, making the app engaging to browse casually. Content is also tagged with topic terms, and the tag index is searchable. The NSF frequently updates content, so information in the app relates to recent and groundbreaking science work. There is also a news feature where users can quickly access this newest content in the app. The interface of the app is very clean and easy to use. Content is shown as thumbnails on what appears to be the inside of a sphere (with the user inside, able to navigate the whole surface, in a manner that reminded me of Cerebro from X-Men), and simple finger movements allow navigation through the thumbnails and between content. Users are also able to save favorite items and e-mail content/post content to Twitter/Facebook; these features cannot be turned off, which may affect how some libraries choose to use the app in their facilities. See my earlier app review post for links to additional app review sources. And please chime in in the comments with your favorite apps and review sources! 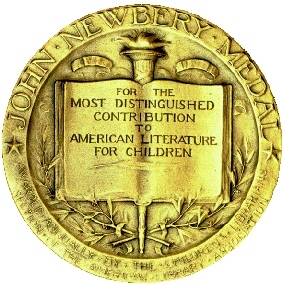 I've been looking forward to 2013 for one really big reason: it's the year I do massive amounts of reading as a member of the 2014 (John) Newbery Award Selection Committee. I'm telling you about my committee appointment because it is going to directly affect how I talk about books on this blog. I've decided not to formally review any titles for the duration of my committee work--that is, if it's published in 2013, you won't see a review from me. I am a librarian, though, so I'll most definitely still be talking about books on this blog, albeit in a slightly different context than I have previously. What I read so often influences what I program for the kids at my library, and since I blog about my programs, titles and synopses of 2013 books related to my programming will necessarily enter the conversation. I want to take a moment to emphasize that any mention I make of 2013 titles on this blog reflects my personal thoughts, and mine alone; I could never dream of speaking for the intelligent, erudite people with whom I am serving on the committee, and I most definitely do not speak for the committee as a whole. Really, that's what I wanted to say. I love talking about books, and I will mention 2013 titles as they pertain to the rest of the topics I blog about, but I will not be sharing reviews or criticisms here (although I will always love to hear what you have to say about what you're reading!). I wish you happy reading this year, and I look forward to focusing on blogging about my programs and other topics in youth librarianship throughout 2013. The 2012 Cybils Finalists are Here! 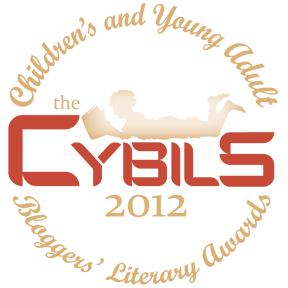 The 2012 finalists for the Cybils Awards were announced on January 1. These shortlists are perfect to share with library customers as winter sets in and folks want to cozy up with great books. The shortlists of books in the variety of categories--from book apps and picture books to poetry, middle grade science fiction/fantasy, and YA--will ultimately be whittled down to a single winner in each category, announced February 14. Head over to the Cybils website now for full finalist details!